So… life has been crazy lately. A little drama at my day-job and just “real-life” caused me to take an unexpected hiatus… but not to worry… I’M BACK! I thought there was nothing more appropriate for my homecoming than a new installment of Here & Now and today is all about getting in the 4th of July spirit. I love this idea. So simple and effortless, but so cute! How beautiful are these parfaits?!? Anything this pretty has to taste delicious. 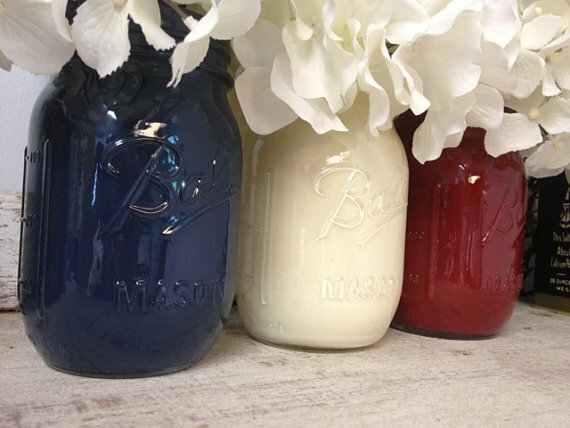 I love the idea of painted mason jars. You can buy these or make them yourself… brilliant! This nail art is absolutely fab! So fun and festive.